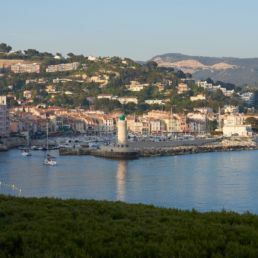 Located within the heart of the French Riviera, Les Roches Blanches is surrounded by emblematic towns and villages. Our Concierge service organizes tailor-made trips, such as cultural visits, markets, shopping and all other types of activities. A small fishing harbour located a few steps from the hotel, this village is famous for its creeks with steep limestone cliffs. The harbour is decorated with pastel coloured buildings, street cafes and restaurants. There are many trails on Cap Canaille, along the rock edges, offering a panoramic view of the sea. A unique scenery. 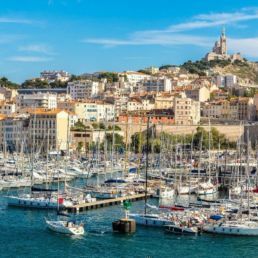 A few miles away, you can discover the nearby islands and swim on the sandy beaches of Bendor or Porquerolles, along the rugged coastline of Port-Cros and Giens, or, going west, around the archipelago of Marseille. The ‘Vieux-Port’, ‘le Panier’ district, the Corniche, the fish market, the forts and bastides, Notre-Dame-de-la-Garde, La Cité Radieuse, designer shopping, the museums of which the well-known MUCEM… Marseille is a unique city with incomparable provencal charm. With its football club, its cafes, Marseille is only 20 minutes away from the hotel, by land or by sea. 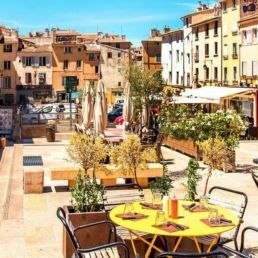 Located 40 minutes from the hotel, Aix-en-Provence is well-known for its unique buildings, churches and the ‘Cours Mirabeau’ lined with cafes and shops. Its historic center, together with its neoclassical courthouse and private mansions, make it a popular destination for architecture enthusiasts. 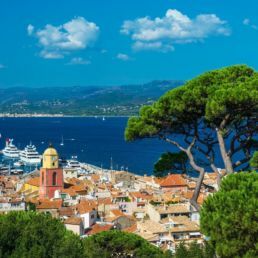 Long appreciated by artists in the 1960’s, Saint-Tropez attracts the international jet set. Yet this fishermen village remains popular for its beaches and nightlife. 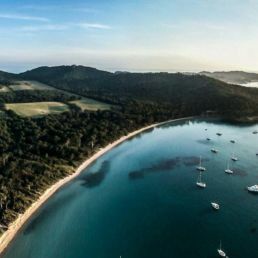 Located approximately 1.5 hours away from the hotel, our Concierge is at your disposal to organise a day trip, including private car transport from the hotel.